The world’s leading binary options platform provider is glad to announce its participation at the 11th edition of the International Investment and Finance expo in Guangzhou, China where the company will exhibit in booths N3-M7. TRADOLOGIC is currently in enthusiastic preparation for the company’s participation in one of the biggest events in Guangzhou. The International Investment and Finance Expo will take place between 27th and 29th of September in China Import and Export Fair Complex. TRADOLOGIC will exhibit in booths N3-M7 where all attendees are welcome to share business ideas and binary insight with TRADOLOGIC’s representatives. Moreover, the company is Silver Sponsor and Media Sponsor for the event. TRADOLOGIC’s team is honored to be part of this major and reputable event and have the chance to meet Asian investors and top professionals. At the event TRADOLOGIC will present its unique products for the financial trading industry. The company will also introduce some products that were especially designed for the Asian market such as the Asian Agent System. TRADOLOGIC offers a variety of option types, trading tools and features and believes that they will satisfy the needs of Chinese investors. Earlier this month TRADOLOGIC took part in one more event in China – the CIOT expo in Shenzhen. After this incredibly successful participation, TRADOLOGIC’s team is excited about meeting more potential clients from Asia. The company is focused on the Chinese market as part of its strategy for expansion on Asia. 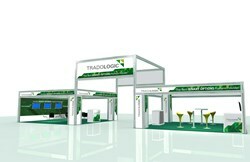 TRADOLOGIC is a major exhibitor at leading investment expos around the world. By the end of the year the company will participate in two more financial expos in China - the 9th Beijing International Finance Expo and the 10th Investment & Finance Expo in Shanghai. TRADOLOGIC is interested in the dynamic Chinese market and believes that both the company and its partners can develop successful businesses in China. TRADOLOGIC is the world’s number one binary options trading platform provider. The company offers innovative solutions to the financial trading industry. TRADOLOGIC’s success is based on the company’s strive for excellence and its constant effort to develop creative products that will meet the demands of the rapidly expanding financial trading market as well as satisfy the needs of the company’s numerous clients.